Long ago, perhaps aware of the punches coming my way, I came up with a very small stratagem – sometimes, small things are crucial – to help me escape from the frustration, bad moods, or weakness, that life can deliver. The stratagem is simply a list of 10 delicious dishes I could choose from to give me back my lust for life or that energy I lacked after the latest blow. I have yet to complete the list. Moreover, a lady once said to me: “Let me tell you your favourite dish”. She didn’t say much more, because it seems that at some point in her life she had acquired the habit of not doing so, of politeness, and converted said habit into a question of manners, like when one leaves a tiny bit of food on the plate to show one’s host that the meal was abundant. Oh les femmes! Please find below my list, in no particular order, because each has its moment. 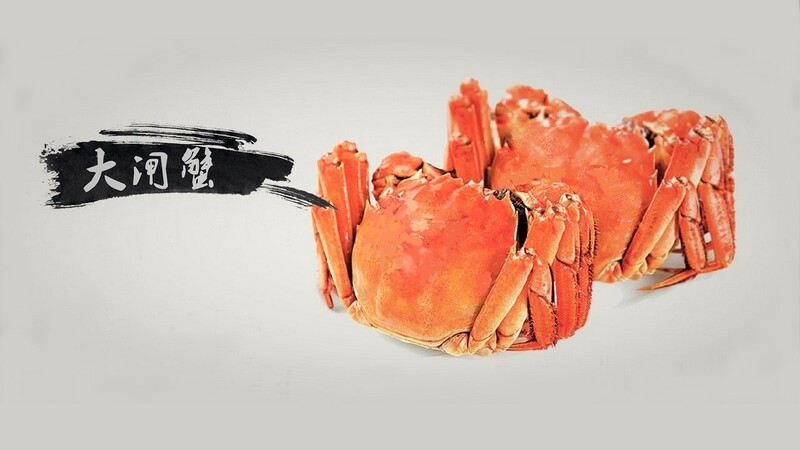 – Dazhaxie (大闸蟹), wonderful Shanghainese river crabs, only available from late September to November (see photo). – Chayedan (茶葉蛋) or Tea egg: delicious eggs cooked in spices, soy sauce and black tea leaves. – Toro (とろhiragana or トロ katana), the fatty cut of tuna belly. – Caviar, which needs no explanation. – Morcilla, or spicy black pudding, from Leon, in northern Spain. – Escamoles, a Mexican dish made from ant larvae and pupae. – Spanish dry cured ham (jamón ibérico). – A juice of Acaí, made from a Brazilian berry. As you can see, the list is incomplete and needn’t stop at 10, which when all is said and done, is simply a number we’ve chosen from our habit of rounding up things, a sort of security blanket to ward off our loneliness and frustration. By the way, another femme, French of course , said you do not forget Le Champagne!! !